It was just three short years ago that I was elected to the position of Region 9 Governor representing the Los Angeles Section. When my term began in October 2014, I penned an Incoming Governor article about my plans and hopes for the coming three-year term. In addition to working to carry out the purposes and objectives of the Board of Governors, I listed my passions as Membership Growth, Infrastructure Advocacy, and Leadership Development. It was my wish at the time that we could make tangible progress in each of these three goal categories. Membership Growth: Although membership numbers fluctuate due to seasonal factors (e.g., timing of renewals, student memberships), Region 9 averages about 19,000 members. Earlier this year, we briefly hit the 20,000-member mark. This has been encouraging! So too has our overall focus on membership, led at the Region 9 level by Matt Kennedy, P.E., Region Governor from San Francisco. Our membership numbers carry clout and enhance the effectiveness of the organization in advancing its goals, especially with regards to influencing public policy. We are influential now, but as our member count rises, it will be hard to find a public policy maker or legislator, at any level, who would not want to listen to what we have to say. Adding and retaining members is an on-going, never-ending quest. As a Region, our progress has been slow and steady, but we are clearly on the right track. Infrastructure Advocacy: I continue to believe that one of the most important roles of the Region 9 organization is to advocate sound infrastructure policies at our State and local levels. 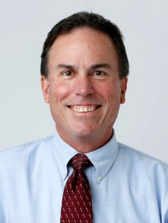 Having a legislative advocate in Sacramento (Richard Markuson), funded by Region 9, is important to our effectiveness. So too are the visits, calls, and messages from our members to our legislators and other elected officials. I have helped organize, and I attended, each of the past three annual Sacramento Fly-ins. Not only do the fly-ins allow us to take our message directly to our elected officials, but there is an interesting bonus from this experience for our participating members. I have observed that members who spend the day at one of the Fly-ins, come away with increased confidence and self-assuredness. These important leadership traits will make our members more effective in their everyday lives. Who knew that participating in legislative advocacy could be transformative in one’s career development? Leadership Development: As a Region Governor, I have become more fully aware of the many ways in which ASCE works to provide leadership development opportunities for its members. Some of these opportunities are side benefits to other ASCE activities, like the Sacramento Fly-in example above. Other programs are designed for leadership development. As Region Governor, I attended and helped lead the annual Multi-Region Leadership Conferences, which include tracks for Section, Branch and Institute leaders, younger member leaders, and student leaders. These two-day conferences attract hundreds of highly motivated ASCE volunteer leaders from California and other western states. Within Region 9, various Branches, YMF’s, and student chapters offer leadership development programs throughout the year. Such programs are beneficial to the ASCE organizations by assuring an all-important leadership pipeline. Similarly, the programs pay dividends to the employers of our member-leaders. My overall assessment of our progress is therefore positive. While the Region 9 organization was strong when I came aboard, it has gained strength during these past three years, as evidenced by the tangible improvements in membership, statewide infrastructure awareness, our leadership depth, success of our annual Symposiums and Fly-ins, and our financial health. These accomplishments are a testament to the efforts of the entire group of Region 9 volunteers, led by Jay Higgins, P.E., Region 9 Director. On behalf of the Board of Governors, and all of the members of ASCE Region 9, I wish to commend and thank Jay for his tireless efforts. It has been our good fortune to have Jay at the helm these past three years! Although I will be stepping down as a Region Governor at the end of September, I will remain quite active in Region 9 as a co-chair of the 2019 California Infrastructure Report Card. As you might imagine, producing a Report Card on infrastructure for a State as large and complex as California is a significant undertaking. Fortunately, we have many devoted members who will be volunteering their services to assist in producing this important document. For me personally, it will provide an opportunity to stay connected with colleagues across the State as we work together on this important project which, when completed, will once again highlight ASCE’s crucial role as advocates and stewards of our infrastructure. Thank you for this opportunity to serve you as Region Governor. In addition, thank you for demonstrating your commitment to our profession through your membership in ASCE. There is no time like the present to enrich the value of your membership by taking on an active role in the organization. ASCE Region 9 members participated in the annual Legislative Fly-In to the State Capitol in Sacramento, on Wednesday May 17. For the past two years, the Region 9 Legislative Fly-In visits have been held in conjunction with the Infrastructure Week to highlight the importance of infrastructure investment needs in communities throughout California. In addition, for each of the past two years, the Region 9 Government Relations Committee (GRC) has authored an Infrastructure Week Resolution to encourage leadership at the federal, state, and local levels to address our pressing infrastructure challenges. Our 2016 Infrastructure Week Resolution was the Senate Resolution 74 (SR74) and it marked the first such resolution shining a light on the significance of infrastructure in California during Infrastructure Week. Our 2017 Infrastructure Week Resolution was aimed at both legislative houses, and it was introduced by Senator Beall as the Senate Concurrent Resolution 35 (SCR35). It was overwhelmingly approved by all California legislators (Ayes 76, Noes 0). The 2017 Region 9 Fly-In event brought together about 50 civil engineers from across California, of which 40% were first-time attendees. A pre-Fly-in webinar was held on May 11, to help prepare the attendees for their visits. Five Issue Briefs were also prepared and handed out on transportation funding, infrastructure investments, expanding design-build delivery options, increase STEM pathways, and advocating new approaches to the infrastructure deliberation process by legislators. 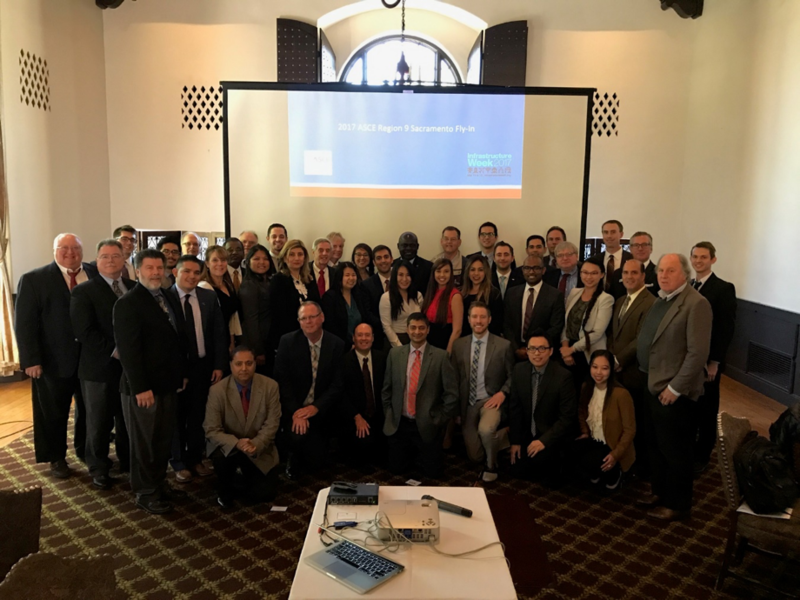 The event consisted of a morning training session at the historic Sutter House venue in downtown Sacramento, followed by over 60 legislative visits at the State Capitol after lunch. Highlights of the day included a public relations and legislative training session by Richard Markuson, ASCE Advocate; introduction to the legislative process by Bob Franzoia, former Staff Director, Senate Appropriations Committee; discussion of current issues at the California Board of Professional Engineers by Richard Moore, Executive Officer; A Journalist’s perspective on current events by John Howard, Editor, Capitol Weekly; and Keynote addresses by Senators Bill Dodd and Scott Weiner who also discussed the passage of SB1 and the importance of transportation infrastructure funding. Participants this year displayed great enthusiasm, were engaged, and offered their own contributions during the legislative visits. Thanks to all who attended, for your effective participation! The ASCE Region 9 Government Relations Committee (GRC) actively monitors and recommends positions on statewide legislative and regulatory proposals that affect civil engineers, and support the standing policies of ASCE. The committee is also responsible for the annual Region 9 Legislative Fly-In and the follow up local visits, which are intended to encourage an ongoing dialogue between ASCE members and their legislators about issues of importance to ASCE and to reaffirm the recognition that ASCE enjoys with state and federal legislators as a valuable non-partisan resource with expertise in all infrastructure related issues.